This photo inspires me because there is so much meaning in the picture. 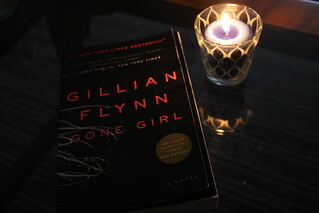 The book Gone Girl is a sort of dark, thrilling read. You can really get the feeling of reading the book by looking at this picture. The only source of light in the picture is the candle. The way the light reflects off of the table and the book is very visually appealing.